Hello Smith Families!! 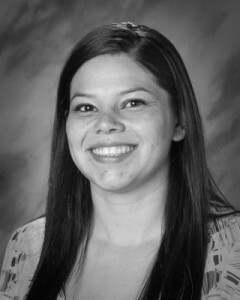 My name is Lydia Acosta and I am the first grade Math/ELD teacher!! This is my 8th year at Smith and my 2rd year as a classroom teacher. I graduated from the University of Northern Colorado with a Bachelors of the Arts and a minor in Early Childhood Education. When I am not at school I spend time with my beautiful family! I have 3 boys and 1 girl ☺. We like to spend time outdoors and fishing! I am happy to be back at Smith Elementary!